By using this service, you shall be deemed to have agreed to all these Terms and Conditions. If you do not agree to any of the Terms and Conditions, please discontinue using this website/service. This service enables you to register and make online payment for Continuing Professional Development (CPD) course(s) conducted by C&H. Ticket will be sent to the email address provided by you to confirm your registration for the core CPD courses. If you do not receive the ticket within three (3) working days after registration, you should contact C&H at 9455 9595 for confirmation. 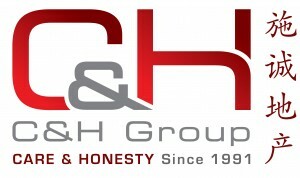 You are required to provide a business phone number and a business email address so that C&H may be able to contact you. You are responsible for providing accurate information when using this service. Seat confirmation is subject to receipt of full payment; seat availability is on a first-come-first-serve basis. All CPD course(s) conducted by C&H are NOT supported and NOT claimable under Union Training Assistance Programme (UTAP). All CPD course(s) conducted by C&H are strictly for salespersons conducting real estate business only. CPD courses are part of the real estate business in fulfillment of the Council of Estate Agencies licencing requirements and for the promotion of professionalism in the real estate business. All personal data provided in the registration process must be business contact information only. E-Certificate will be issued to participants who have signed-in and signed-out and attended the whole duration of the CPD course. Participants who are late for the class for more than 15 mins will not be issued a Certificate of Attendance. If participant fails to show up on the rescheduled class date, the course fee shall be forfeited to C&H. Unauthorized duplication of any part of the course materials is an infringement of the Copyright Act. Audio and/or video recordings of the lectures are strictly prohibited. C&H reserves the right to change or make any amendments to the dates/ venues/ trainers/ contents for the core CPD courses without any prior notice. Full refund will be made in the event of course cancellation by C&H. C&H reserves the right to postpone or cancel the CPD course(s). Participant who attended the same OR similar course at other providers in the same CPD cycle, will not obtain CPD credit hours for duplicated course. The registration fee for Core CPD Course is $35 plus GST per course for salesperson from C&H agency; the registration fee for Core CPD Course is $45 plus GST per course for salesperson from other agency. Payments can be made via credit card or debit card or Paypal. An official receipt for payment made will be emailed to the purchaser.